Comcast has raised the stakes in the bidding war for Sky. Comcast made a new bid late Wednesday for the European broadcaster. Comcast's sweetened offer values Sky at £26 billion, or about $34 billion. Earlier in the day, 21st Century Fox said it had a reached a deal to buy Sky that valued it at £24.5 billion, or about $32.5 billion. Fox already owns about 39% of Sky. Sky's independent board committee, which had recommended that shareholders accept the Fox bid, quickly switched their endorsement to the more lucrative Comcast offer. Both Comcast (CCZ)and Fox see value in Sky as the media companies compete with the likes of Netflix and Amazon in Europe. It's a leader in pay TV in the United Kingdom and other markets including Germany and Italy. It also sells broadband and mobile phone services. 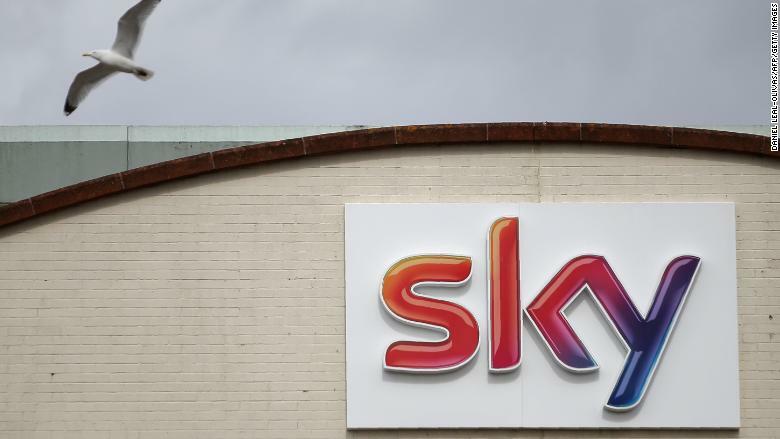 Sky has become a pawn in a much larger struggle between Comcast and Disney (DIS), which are locked in a bidding war for most of Fox, including its existing stake in Sky. Disney has agreed to take ownership of Sky if it succeeds in its effort to purchase 21st Century Fox. Fox's pursuit of Sky had hit some snags in the United Kingdom, where regulators were concerned that ownership of Sky News would give Rupert Murdoch and his family too much influence. On Thursday, the UK government gave its final approval for Fox's proposed deal. In order to satisfy the government, Fox has agreed that it would sell Sky News to a third party such as Disney. Comcast had already received approval by both UK regulators and from the European Commission. It's not clear yet whether Comcast will also increase its bid for 21st Century Fox to counter Disney's latest $71 billion offer.